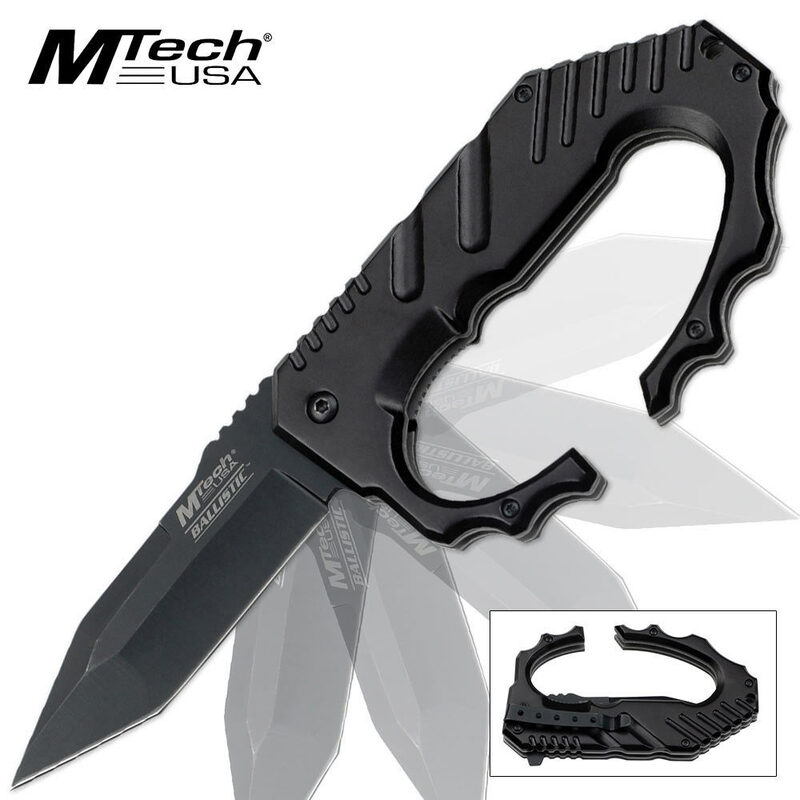 MTech Ballistic Assisted Open Tanto Folding Pocket Knife C-Guard Black | BUDK.com - Knives & Swords At The Lowest Prices! This Ballistic assisted-open C-Guard folding pocket knife from MTech features a modified tanto point stainless steel blade with a non-reflective black finish. Access the blade with the assisted-open mechanism. The anodized aluminum C-Guard handle features a pocket clip. Why this knuckle knife is not listed with the other knuckle knives, "knuckle guard knives" I do not know but as a collector of knuckle guard knives I can say that this knife is actually nicer than it looks. You could use this as a knuckle guard without ever folding the knife out, when you do fold the knife out, it pops up in a split second. It is of a very solid construction. The blade is very sharp. Good deal!